Even outside mainstream sports, sexism and unequal access have long thrown up hurdles for female athletes. Deconstructing those hurdles is an endurance sport of its own. When Blue Crush hit theaters in 2002, critics generally considered the film weak on plot and strong on surfing sequences. The latter was mostly due to the casting of pro surfers Keala Kennelly and Kate Skarratt, including their stomping the famous Hawaiian break Pipeline in one of the film’s climactic scenes. Blue Crush premiered as the number of women surfers was growing, and the scene likely provided stoke for countless girls to try the sport. 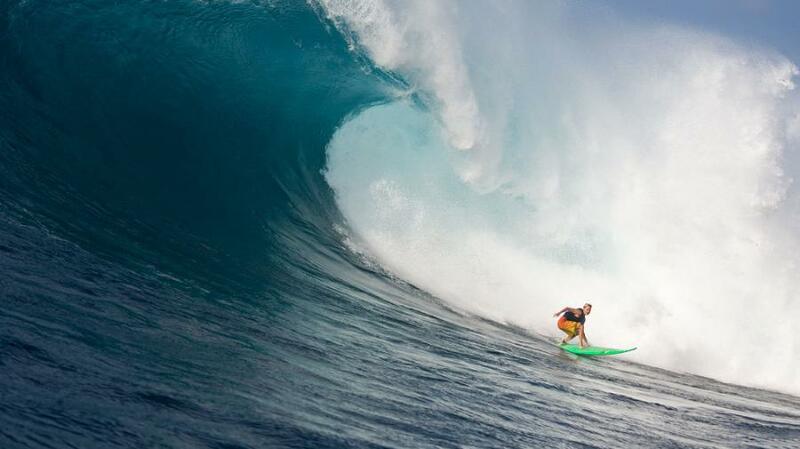 It also showed that women surfers can be as big a draw for their athletic performance as men. But here’s the rub: Kennelly and Skarratt earned far more filming their cameos in Blue Crush than they did from winning major events as professional athletes. For years, the same unfortunate calculus has been true for women competing in action sports from cycling to skateboarding to snowboarding: You can be among a sport’s most decorated athletes, but your winnings may not pay the rent. For these women, achieving parity with the salaries, sponsorship endorsements, and competition prize money that their male counterparts enjoy has been slow to come. When Kennelly began competing at an elite level in 1998, on the Association of Surfing Professionals (ASP) championship tour, a mid-pack female surfer might earn around $30,000 in winnings in the course of a year, around half of what her male counterpart might make, even though the men’s field was more that twice as large (36 men versus 15 women). Because surfing venues span the globe and athletes generally cover their own travel costs, earning a decent salary as a female athlete was nearly impossible without an endorsement deal or side job. Prize money for both genders did improve incrementally during the years Kennelly was on the tour (she stopped competing in 2006) but the women’s total purse per contest remained roughly a quarter of the men’s. Even so, women kept entering the sport. In 2002, the ASP added two more seats to the women’s tour, a 12 percent growth, and overall, more women started surfing recreationally in the early 2000s.